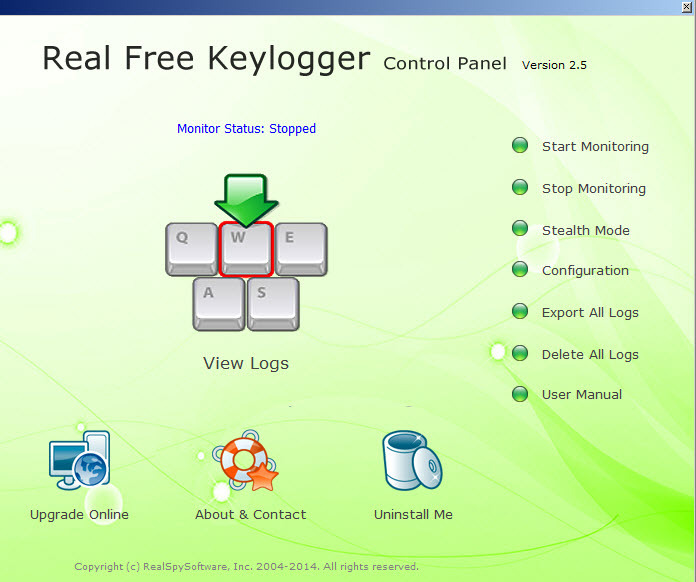 This is a small application that can be used to record keystrokes. It has a really simple interface and you do not have too many options. 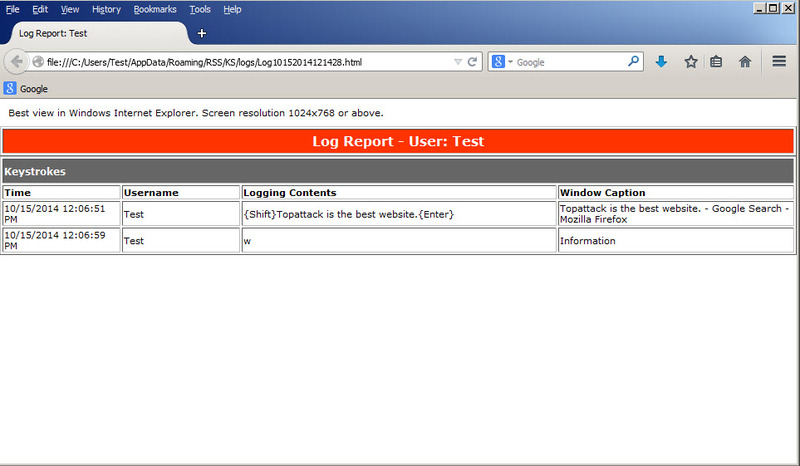 You can export logs to a HTML file or view them on program's interface. It supports password protection and a hotkey to be hidden or revealed. The full Stealth mode is available in a paid upgrade, although the application isn't visible in computer's folders and menu and has not been detected by our antivirus. A very basic application to record keystrokes. It doesn't offer advanced features.